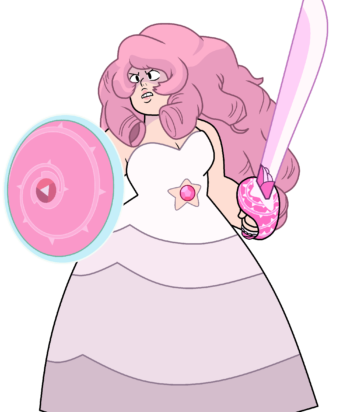 Rose Quartz was the leader of the Crystal Gems and Steven Universe’s mother. Rose gave up her physical form to give birth to Steven. She was in an open relationship with Pearl and left her when she fell in love with Steven’s dad, Greg Universe. In the fifth season its revealed that Rose is actually Pink Diamond, and she and Pearl conspired to ‘kill’ Pink Diamond to end the rebellion, so she could live as Rose.